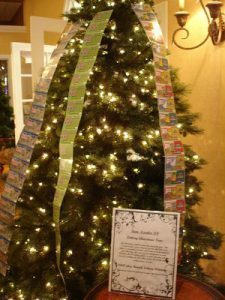 This tree was covered in lottery tickets. If you’re looking to boost benefit auction revenues and your gala is held in late November or December, your acquisitions strategy should include decorated holiday trees. They sell well this time of year! In this podcast, you’ll hear three ideas worth targeting. Add these to your procurement list.